Well, our storied run has come to an end – we all knew it had to happen sooner or later, but dang if we didn’t want just one more World Series before sending off Roth and Price and all the rest. I am so proud of them and proud to be a Gamecock! Anyway, I’m just popping in this morning to give you a tasty and easy side for some of your grilled meats this summer. 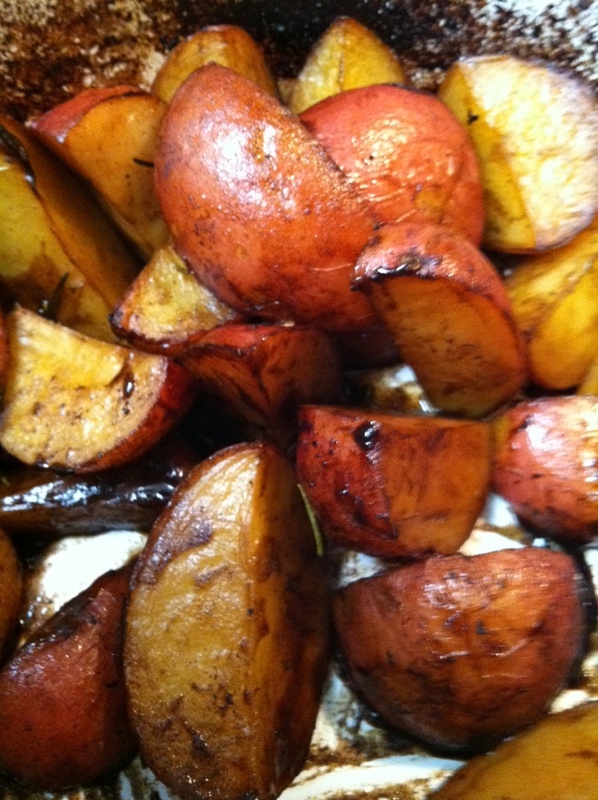 I love these balsamic roasted potatoes. Be sure to season them well with salt and pepper – they will be underwhelming if under-seasoned. I got this recipe off a blog ages ago — pre-Pinterest — so I have no idea where to give proper credit. If you do, please let me know. Preheat oven to 425. In an 8″ square baking dish place potatoes evenly along bottom. Add broth, vinegar, garlic and rosemary (or thyme), season with salt and pepper. 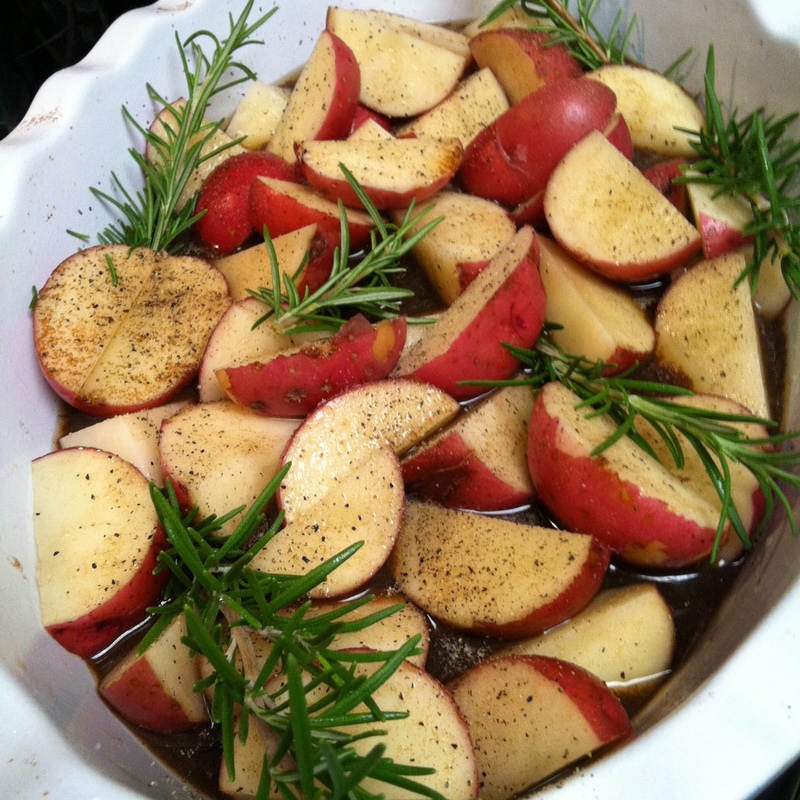 Bake until potatoes are tender and liquid is reduced to a glaze, about 50-70 minutes, tossing 2-3 times.